Don't miss NEXTpittsburgh's 5th birthday party! Get tickets before it sells out. 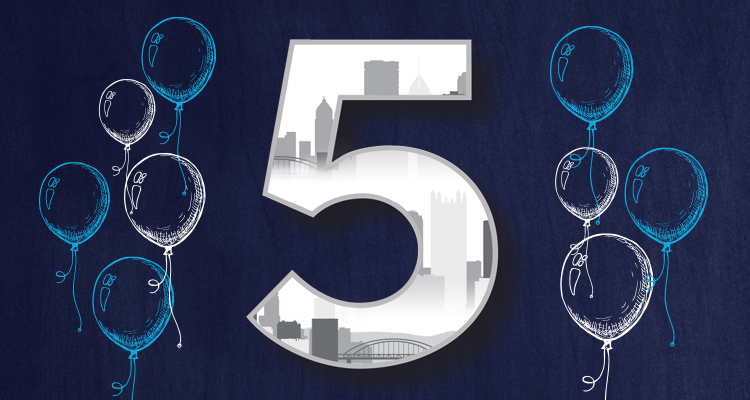 Join us for our 5th birthday party at Kingfly Spirits on May 7 as we celebrate 5 fabulous years of reporting on the people and ideas advancing Pittsburgh. Enjoy handcrafted cocktails from the newest distillery in town and enjoy a tantalizing array of Italian food — we’re talking meatballs, pecan-crusted chicken skewers and heaping plates of antipasta from Sprezzatura — as we toast the last 5 years and what’s next for Pittsburgh. We’ll have some fun activities and surprises with many of the influencers we’ve covered since March 2014. Don’t miss it! 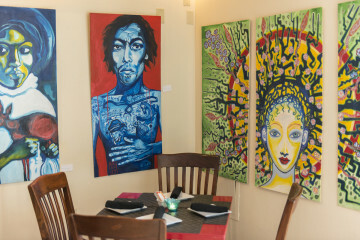 – 2 drink tickets good for special Kingfly cocktails, craft beer, wine or non-alcoholic beverages — your call! A portion of our birthday party proceeds will benefit Beverly’s Birthdays.